Iran rejects US Vice President's remarks accusing the Islamic Republic of anti-Semitism akin to the Nazis. Iran on Saturday rejected US Vice President Mike Pence’s remarks accusing the Islamic Republic of anti-Semitism akin to the Nazis, Reuters reported. He added that being in Auschwitz had made him reflect to "strengthen the resolve of the free world to oppose that kind of vile hatred and to confront authoritarian threats of our time." On Saturday, Iranian officials insisted Iran respects Judaism but opposes Israel which, they claimed, acts like a "killing machine against the Palestinians". "Iran's historic and cultural record of coexistence and respect for divine religions, particularly Judaism, is recorded in reliable historic documents of various nations," Iranian Foreign Ministry spokesman Bahram Qasemi said, according to Reuters. "The principle that underlies our foreign policy is the aggressive and occupying nature of the Zionist regime (Israel)..., which is a killing machine against the Palestinian people," Qasemi added. Iranian Foreign Minister Mohammad Javad Zarif, meanwhile, described Pence's accusation as "laughable". "Iran has always supported the Jews. We are just against Zionists. 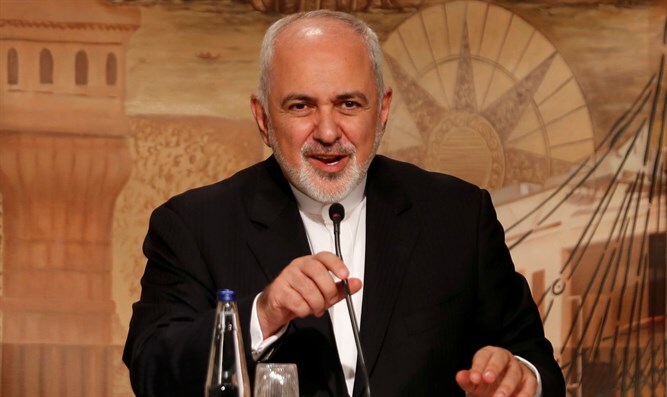 The Holocaust was a disaster," Zarif told Germany's Der Spiegel Online. At the time of the Islamic Revolution in 1979, between 80,000 and 100,000 Jews were living in Iran. The remaining Jewish community is estimated to number fewer than 10,000 people. Several years ago, Iranian President Hassan Rouhani donated $170,000 to the country's only Jewish hospital. However, Iranian officials in the past have also denied the Holocaust, including former President Mahmoud Ahmadinejad, who said prior to leaving the presidency that he prided himself the most on his denial of the Holocaust. Rouhani stated in an interview on CNN shortly after his election that the Nazis committed a "reprehensible" crime against the Jewish people during the Holocaust. Iran subsequently claimed that the network had misrepresented Rouhani's statements and had added the words "Holocaust" and "reprehensible" to its translation.